Here are some of the speakers that will be giving lectures, presentations and joining panel discussions in Cartagena. The information will be updated regularly. Elena was born in Argentina and holds an Organic Chemistry degree. She joined IFF in 1993, moving to Brazil in 2004 as Creative & Application Fragrances Director for IFF Latin America. During this tenure, she managed all the areas of developing fragrances to enchant consumers. She became Regional General Manager for Consumer Fragrances for Latin America in 2016 and VP Fragrances Latin America in March 2018. During this time, IFF fragrances has sustained a leadership position in Latin America. 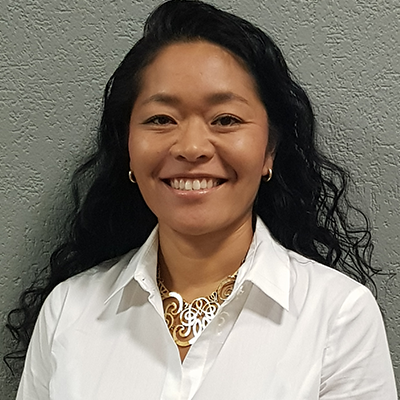 As well as a Bachelor in Organic Chemistry from Universidad de Buenos Aires, Elena has an MBA from USP – Universidade de São Paulo in 2007, and a Master Business Agility Program from INSEAD. Natural and sustainable ingredients becoming increasingly popular. This is influenced by Europe and the US and shows that innovations presented by the major manufacturers in Europe therefore has a strong influence in Latin America. It is not enough to have a “green” material but it is important to have a material that is sustainable and/or renewable. Customers recognise natural ingredients as healthy. Fragrance/perfume is a way of showing personality, style, a way of life, a moment etc… therefore an ingredient can act as a booster of specific notes or an ingredient can be so “strong” that it can have the power to modify the fragrance completely changing the profile of the perfume. As in other markets, consumers are increasingly looking for products “for me” and this shifts the goal of pleasing the multitude to getting approval from bloggers, trendsetters, etc. The possibility of creating safe, non-allergenic, pure and effective ingredients is welcomed by customers. Companies and brands need to make sure they protect the trust of consumers. The CPG industry is now more open to disclose more information to show transparency and show that not all chemicals are created equally. Consumers are looking for a “Health & Wellness” lifestyle and the industry has the opportunity to deliver not only convenience but also the nutrition and wellness for the consumer looking for products that fulfil their needs in this new era. The big challenge is how to deliver health products without compromising on indulgence. Snacking is shifting from an indulgence to a consumer behaviour. Main meals are becoming less important and more fragmented with many snack consumed during the day. This is in turn creating a particular need for morning, afternoon and evening snacks that should sustain the individual’s nutritional needs for a daily diet through different levels of protein, vitamins, fibre, etc. 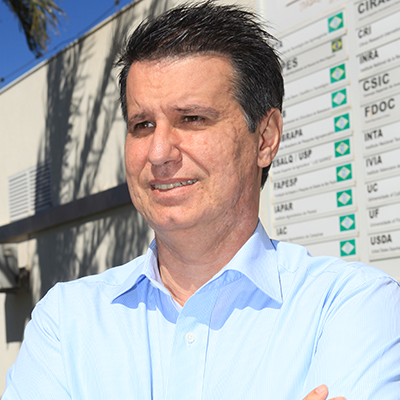 Since 1997, Antonio Juliano Ayres has been General Manager of Fundecitrus (Fund for Citrus Plant Protection). Fundecitrus is an important association maintained by the citrus growers and industry of São Paulo State, Brazil, focusing on promoting a sustainable development of the Brazilian citriculture through research and development of new practices against pests and diseases. Antonio Juliano Ayres has B.S. and M.Sc. degrees in Agronomy from the University of São Paulo, FCAV-UNESP/Jaboticabal, and M.S. and M.B.A. degrees in Citriculture from the University Politecnica of Valencia, Spain. Brazil is currently responsible for more than half of the global production of orange juice. The country exports 97% of its production and has achieved 76% of market share worldwide. The exports generate an income of US$ 1.5 – 2.5 billion for Brazil every year distributed among hundreds of enterprises and thousands of farms, which are responsible for employing over 200,000 people in nearly 350 municipalities of São Paulo state (SP) and West-Southwest of Minas Gerais (MG) state, which comprise the main Brazilian citrus belt. This region accounts for 80% of Brazil’s overall production, with 465,635 hectares of citrus, distributed in 9,845 farms. The 2018-2019 orange crop forecast for the citrus belt is 288.29 million boxes (40.8 kg). The major concern is a vascular bacterial disease known as “greening” or huanglongbing (HLB) caused by a (Ca. Liberibacter sp.) and vectored by psyllids (Diaphorina citri). This is the most damaging citrus disease in the word and was first detected in Brazil in 2004. Diseased trees cannot be cured and there are no resistant varieties available. In 2017, the incidence of diseased plants in the region was estimated at 17%. The main control measures are elimination of diseased trees and area-wide chemical control of the vector. Fundecitrus’ efforts to fight HLB has included research, extension, diagnostic services, surveys, and the development of new technologies. SP citrus belt is a case of successful control of HLB using integrated and sustainable strategies. Andy Blum has been involved in the Essential Oils and Aroma Chemicals industry for over 35 years. After graduating from Wagner College in NY with a BS in Chemistry, he began his career in 1982 with Fritzsche D&O. Later in his career, while working for Polarome and later Symrise, he studied business administration and obtained an MBA from Rutgers University in NJ with an emphasis on management of innovation. In his current role with Citromax, he is responsible for product development and innovation, especially in the citrus essential oils and juice-blending sector of the business. Having access to raw materials and unusual, untapped product streams, Andy is having fun trying to improve offerings for the flavour, fragrance, essential oils and beverage industries. Outside of the office, Andy enjoys reading, bicycling and travelling with his wife of 28 years and their 18-year-old daughter. Argentina accounts for > 55% of the global supply of lemon peel essential oil, a critical ingredient in countless consumer products, including some of the world’s most popular beverage, food, cosmetic, household and fragrance products. As such, the cost and pricing of lemon oil from Argentina is a driving force in the global marketplace of flavours and fragrances. Due to the importance of this essential oil, and the physical distance between the main growing regions in Argentina as well as the major markets of Europe and North America, we would like to discuss the region in context of the global market. We will introduce the region and its unique ability to produce lemons in comparison to the other global producing regions, and discuss the evolution of the planted areas and production. Interestingly, production has not risen as quickly as might be expected given the scientific methods employed in both growing and processing. The global demand for decreased and more selective agricultural residues in the final lemon peel oil severely limits the ability of the lemon growers to maximise their product yield per hectare (or acre) by using the most suitable fertilisers, pesticides and herbicides. Chemicals commonly used in lemon growing just a few years ago are now disallowed. This results in a decreased crop and a higher price. Other pressures are abundant. An unstable currency along with high inflation vary costs. Growing practice changes to combat citrus greening and other diseases are expensive, with an extensive citrus greening control plan in effect. Strange weather patterns in recent years have changed the seasonal nature of the fruit harvest. Higher juice and fresh fruit prices absorb a portion of these added costs. Traditionally, however, lemon peel oil has been the driver of success for lemon agronomy in Argentina. The Argentinean lemon industry is developing new growing and picking techniques to offset some of these added costs. New planting methods and different tree-grooming practices are also helping, along with diversification of the varietals planted. The industry is quite strong in Argentina, but where will it go? 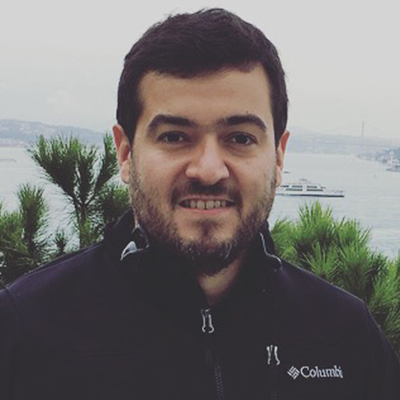 Sergio Davalos, was born in Tucuman, Argentina and has a degree in Management from the National University of Tucuman, and a Master´s degree in International Business focused in Small and Medium Sized Companies from the University of Barcelona. He started working in the citrus industry in 2010 for COTA Ltda, a lemon processing company based in Argentina. He now works as Commercial Manager for the Company. See Andy Blum above – this is a joint presentation. Abstract: Citrus in Mexico: Fruit Production, Industry, challenges: How we are now and what we see in the fiture. This paper will look at citrus fruit production and processes in Mexico today and the forecast for the near future. It will examine its role in America and the world’s citrus production. Finally, the relevance to supply citrus essential oil as raw materials and specialties for the F&F industry will be discussed. Mexico produces over 7.5 million metric tons of citrus making it the world’s fourth largest producer and has also become the third largest processor in the world, processing in excess of 1.9 million metric tons of citrus. Mexico is also the world’s largest producer of distilled Mexican lime oil and also of C.P. Dancy tangerine oil, and one of the top producers of C.P. Persian lime oil in competition with Brazil. From 2017 – 2018, Mexico was the largest processor of grapefruit oil and the second producer of the fruit itself. Despite the threat of huanglongbing (HLB or Citrus Greening) affecting Mexican lime production, Mexico continues to grow in the production of oranges and Persian lime. Production of Mexican lime is once again increasing and the country is still the top producer of lime and distilled Mexican lime oil. Mexico is also producing Sicilian green mandarin oil and is exploring others citrus fruits to be developed commercially. Mexico continues been known as the “Boutique of the Citrus fruits”. The presentation will show information about the Industry, despite the reduction in the size of the market for frozen concentrated orange juice (FCOJ). Mexico has officially announced the presence of HLB in Veracruz state, the largest citrus producer in Mexico, so now the country is facing a new level of this disease affecting production. The paper will conclude by presenting the opportunities that exist to continue growing despite the diseases and other problems in the world’s production areas. 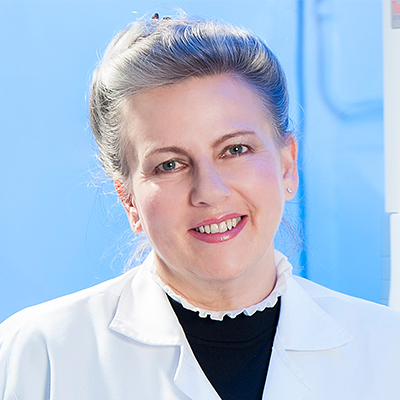 Elena Stashenko, Chemist, Ph.D., is Laureate Full Professor at the Industrial University of Santander (UIS), Bucaramanga, Colombia. She has directed the undergraduate and graduate research projects of over 270 new professionals in Chemistry, Biology and Natural Sciences. 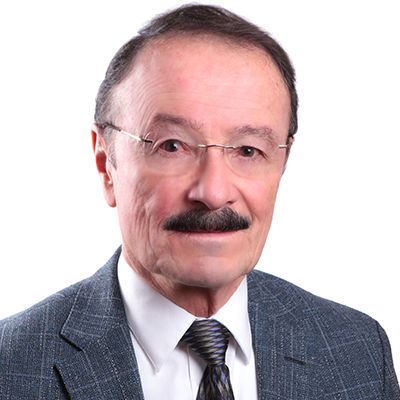 Dr Stashenko is a Member of the Latin American Chromatography Committee; Member of the Board of Directors of the Colombian Association for the Advancement of Science; Member of the Editorial Board of Journal of Separation Science, Journal of Essential Oil Research, and of Scientia Chromatographica. She is the Director of CENIVAM, the Research Centre of Excellence for the Agroindustrialisation of Aromatic and Medicinal Species, a collaborative project of 15 research groups from ten universities. She has published more than 200 scientific articles in national and international specialised journals, and is the author of a book on essential oils, six different chapters on essential oils and their analysis, and has edited a book on aromatic plants and essential oils. Colombia ranks among the top three most biodiverse countries on earth. The variety of climates, favourable agricultural conditions, diverse soils, and several harvests per year make feasible the development of the essential oil (EO) industry in the country. Along with the traditional crops of coffee, cocoa, oil palm, banana, rice, and fruits, this industry could constitute an important item in the economy. The development of new agricultural projects of rapid growth plant biomass and high value-added products could be an alternative with real economic possibilities to replace illicit crops. The Research Centre of Excellence for the Agroindustrialisation of Aromatic and Tropical Medicinal Species (CENIVAM), under technical coordination at the Industrial University of Santander (Bucaramanga), has been a leader in aromatic plants and EOs study in Colombia for many years; its investigations have been focused on the multidisciplinary and systematic search of promising native plants, and also on introduced species such as ylang-ylang, palmarosa, turmeric, patchouli, mints, basils, citrus, geraniums, and others. Researchers from ten universities carry out their work in areas of botany and taxonomy, plant physiology and ecology, on the study of secondary plant metabolites, crop and post-harvest optimisation, EO distillation and design of rural stills, as well and on the study of volatile fractions from plants and flowers, obtaining of extracts with supercritical fluids, and catalytic transformation of EOs or their main components, and on the study of their biological properties (antioxidant, antimicrobial, antiviral, antiparasitic, immunomodulatory, photoprotective and anti-genotoxic, among others). In the last 15 years, CENIVAM has made more than 30 botanical expeditions, in which 1,100 accessions of aromatic and medicinal plants have been collected and taxonomically identified, under the due permit of access to the genetic resource. Using modern analysis techniques, GC-FID/MS, GC-MS/MS, GCxGC-HRMS, LC-MS, chiral chromatography, more than 2000 EOs and extracts have been characterised; in thousands of tests, it has been established that 47% of the EOs obtained resulted highly active in one or two biological activity assays. CENIVAM develops projects on the effective design of stills and has an industrial patent for a mobile rural equipment. With the participation of small rural farmers associations, several pilot projects, financed by the Ministry of Agriculture and Rural Development and Colciencias, have been carried out in the past ten years. The aim of these projects is to construct the EO production chain in Colombia. The economic, agronomic and quality viability of EOs obtained in several productive units has been studied. Each unit has characteristics, as follows: 5-8 ha crop extension, 20-22 families of small growers involved in each project, three or four plant species cultivated by unit (palmarosa, citronella, Lippia origanoides, L. alba, rosemary or thyme), plant nurseries and the facilities for EO extraction in the field. All activities are accompanied by permanent technical assistance. In the conference, the main results of the study on Colombian aromatic plants and their EOs research will be presented, as well as the analysis of rural pilot projects and spin-off creation. Founder partner of Aromas Naturales, S.A.
Luis Asturias is the founder partner of Aromas Naturales, S.A. He is from Guatemala and studied as a Chemical Engineer at the University of San Carlos de Guatemala and also undertook an INCAE course in Business Administration of Companies within the Agroindustrial Export. He trained as a perfumer under the guidance of Dr Gunter Feustel PhD, a retired expert from Bell Flavors, Alemania Leipzig. For eight years, he was a Process Engineer and Plant Manager within the food industry specializing in the production of edible fats and oils from cotton seeds and soya. 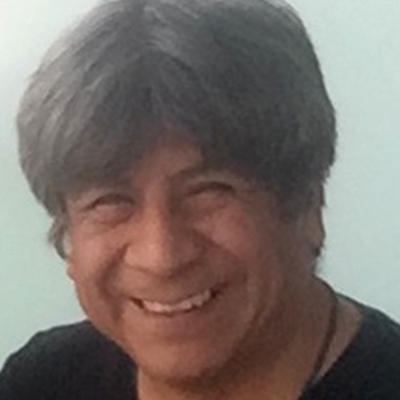 For 31 years, he has been Plant Manager and General Manager in the production and exportation of Natural Essential Oils in Apaesa and Aromas Naturales, S.A.
Luis has been a member of IFEAT for many years. This paper will examine the historic origins since 1945 of the production of lemongrass, citronella, lime, cardamom and, more recently, coffee oil. With the passage of time, some essential oils were still not produced due to economic reasons. The production of natural essential oils is principally agricultural work, with intensive labour. The production process is by steam distillation, decantation, filtration – which is needed to control the physicochemical characteristics and warranty purity and ensure no adulteration. It is then mixed and filtered to obtain a natural essential oil to meet as closely as possible the different customer standards around the world. Globalisation affects marketing, firstly from brokers and agents in the principal countries and later the bigger and medium sized companies who buy directly from source and usually have annual contracts to ship according to the requirements of each affiliate; that means the complete cycle is actually between four months to one year. Sustainability is a fundamental necessity in order to continue to supply the market. In reality the producer is not always guaranteed that their natural essential oils will be purchased on a regular basis. The buyer evaluates the supply of the same essential oil from different origins, and will buy the most economical alternative. New requirements: REACH legislation, allergens, Kosher, Halal, HACCP, social responsibility management, etc, affects the suppliers involved in the flavors and fragrances business. This can often increase the price of the essential oils produced. The development of synthetics, similar to naturals are is also affecting the prices. In reality, what trends and opportunities exist to continue producing and potentially growing in the essential oil industry? Dr Juan Elizalde has more than 20 years of experience developing flavours for the Latin American market. He studied Biochemistry at the University of Chile and gained a PhD in Food Technology at the University of Murcia in Spain. 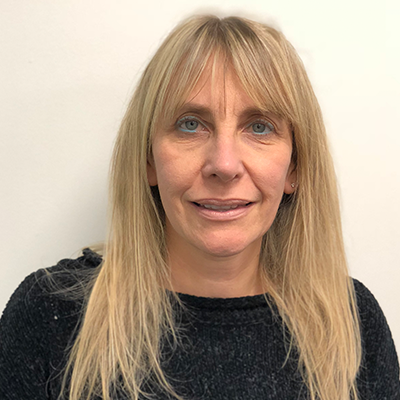 Dr Elizalde has worked for over 20 years at Cramer, a Chilean flavour house, as Research and Development Manager, responsible for flavour design, applications, sensory evaluation and chromatography. At Cramer, he is also responsible quality control and quality assurance. 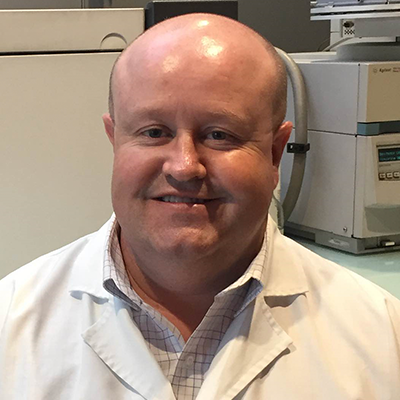 Since 2002, Dr. Elizalde has been an Associate Flavour Chemist at the British Society of Flavourists and since 2007, he has been a Certified Flavor Chemist at the American Society of Flavor Chemists. The South American culinary culture is unique. It is made of groups as diverse as; the ancestral Andean race which keeps its recipes almost intact, up to the inhabitants of the jungle where there is one of the greatest biodiversities on the planet. Additionally, the late ascendence of European, Asian and African cultures, starting around 1500 AD has allowed a provocative mixture of flavours. In this presentation we will make a sweep of the main recipees of South America, those that have made it famous worldwide. Emphasizing, of course, in the use of exclusive ingredients, within which there is a great diversity of essential oils and other aromatic molecules and extracts. Starting with the ever green Colombia, with its famous “arepas” where the corn pyrazines will fill your mouth. Then we will continue with Brazil and the rich and nutritious “feijoada”, where the fat and smoke flavor of bacon melts with pure the amino acid experience of black beans. We will then travel to ancient Peru with its elaborated preparations and beautiful desserts such as “suspiro limeño”, full of cinnamon. At the end of the world we will continue with Chile and its ode to the products of the sea such as “caldillo de congrio” where the acidity of local wine combines perfectly with the amine-fish experience. Finally we cannot forget Argentina where the Maillard reaction will be the king of the “parrilla” on embers roasting the most tender meats. We will definitively keep your palate alert. Aldemar was born in Colombia and is a Lawyer and Marketing Management and International Business Specialist. He has 35 years’ experience in the chemical products market and 29 years as General Manager of FACTORES & MERCADEO where he has specialised in products for the Flavour and Fragrance Industry, being leaders in the distribution of raw materials. Professor Barata holds a degree in Industrial Chemistry from the Federal University of Pará (in Amazon); Has a Master’s degree in Natural Products Chemistry from the Federal University of Rio de Janeiro and a PhD in Organic Chemistry from Unicamp (Campinas, Sao Paulo). Post-Doctorate at the Institut de Chimie des Substances Naturelles – CNRS, France. He has been a Visiting Professor at the School of Pharmacy, University of London. He retired from the Institute of Chemistry-UNICAMP (1971-2011) and today is a Senior Visiting Professor at the Federal University of West Pará, Amazonia. 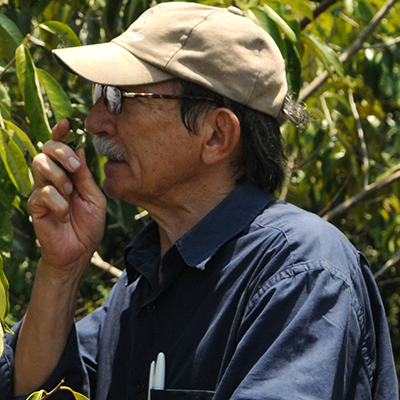 He is an expert in the Chemistry of Natural Products; Research & Development of essential oils and fatty oils from Amazonian plants; R & D in raw materials for Cosmetics, Medicines and Perfumes; Consultant in the Pharmaceutical and Cosmetic sectors and recenly Director of the company Amazon Natural Products in Santarém-Amazon. Rosewood’s essential oil production nowadays is sustainable thanks to a simple technology I developed of trimming young branches and leaves to produce a fragrant, sweet, floral rose, petitgrain like scent essential oil delighting several perfumers. Rosewood plantations in the Amazon consist of 10,000 rosewood seedlings in 20ha intercropped with cassava to produce 1,000 kg of essential oil expecting to become economically sustainable by its fifth year with sales of US$300,000. As a consultant for an A & F company I study the aromas of Amazonian fruits using HR-SPME chromatography to reproduce the intricate aromas in a palette for perfumers. Edible fruits in the Amazon comprise 230 different species from strong floral aromas such as cupuaçu to pungent odours like abricó-de-macaco. Logging waste left in the Amazon forest comprises seven million m3, many are aromatic or the source of natural dyes. Our Pharmaceutical Technologists are developing cosmetic prototypes with this industrial waste. More than a thousand aromatic plants exist in the Brazilian Amazon. Cyperus essential oils reveal a woody scent and complex chemical composition with no synthetic competitor. By its sensorial qualities it is floral-leather-oriental and it could generate creations for international perfumery houses. Patricia Shimojo is a Marketing Professional with more than 25 years of experience in cosmetic industry, such as Avon, Fuller Cosmetics, Tupperware Brands, Sumitomo Corporation, Symrise Fragrances and Vollmens Fragrances. Patricia has vast experience in brand building, merchandising, new product development and all KPI’s management control. She is an expert in the beauty industry, identifying opportunities for key clients and developing, in partnership, a range of successful products. Brazil has the second largest fragrance market in the world. Patricia has expertise in this Brazilian behaviour and Brazil’s relationship with fragrances. 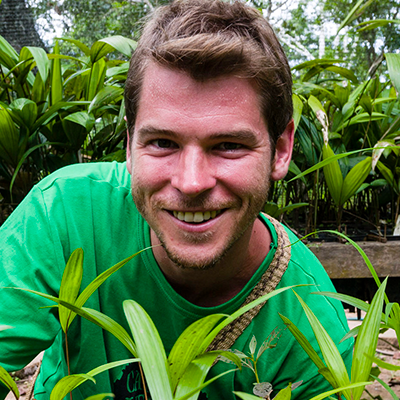 Founder and Executive Director of Camino Verde, Robin Van Loon has lived in the Tambopata province of the Peruvian Amazon since 2004. 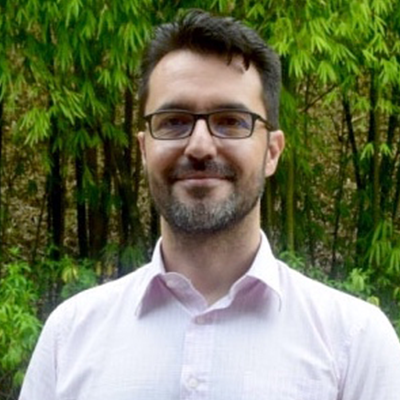 A long-time student of traditional and indigenous agriculture and medicinal practices, Robin Van Loon’s work has focused on developing community-based reforestation strategies to regenerate important endangered plants of the Amazon. He is a writer, regenerative designer, and consultant in agroforestry, reforestation, and regenerative development. He has spoken and consulted in places as diverse as Uganda, United States, and Peru. Development and resource extraction in the Amazon and in Latin America have been characterised by the destructive over-exploitation of valuable, potentially renewable resources including timber species and non-timber forest products (NTFPs). Most of the Amazonian economic plants with which we are familiar by name – mahogany, rubber, rosewood – have been harvested to exhaustion, and many important trees now sit on CITES and IUCN lists of the world’s most endangered species. While timber extraction is a familiar vector for deforestation, perhaps surprisingly, the harvest of aromatic essential oils has also contributed to rainforest degradation and species loss. Brazilian rosewood (Aniba rosaeodora Ducke), popularised in perfumes by Dior and Chanel, has been mined from the forest – dug up, roots and all – to the point of depletion in Peru and Brazil. This tone wood creates world-renowned guitars, but it is the valuable linalool-rich essential oil obtained from all plant parts of this large canopy tree that has historically fuelled the species’ depredation. But the EO is also seen as a promising NTFP that, with careful management, can incentivise the recuperation of the species. In this way the same market forces that fuelled destructive extraction can be reoriented towards supporting activities that regenerate these valuable species and the forest. With rosewood EO markets still saturated by products of ecologically and socially dubious origins, and reforestation experiences with the species few and insignificant in scale, an opportunity exists for smallholder and indigenous farmers to become key actors in a supply chain that preserves and actively rebuilds native biodiversity. Secondary benefits are inherent in these tree-based agriculture systems, also called agroforestry or agroecology. Some initial experiences show the promise of this model: the productivity of managed reforestation plots is far more attractive than traditional wild harvest, as population density in the wild for most Amazonian tree species is extremely low. Rosewood is just one aromatic tree in the world’s most biodiverse forest. Other species, some unfamiliar or completely novel, exist that show promise in international aroma markets. Of interest in conservation terms, many aromatic species are also exploited for timber. This curiously frequent correspondence makes sense: the trees’ aromatic essential oils help protect the wood from rot and termites. Developing markets for novel EOs can therefore incentivise the conservation and reforestation of the Amazon’s most endangered trees. Iguatemi Costa is a Senior Scientific Manager for natural and sustainable ingredients. He is responsible for setting and guaranteeing the technological strategy of innovative cosmetic ingredients for Natura; to lead projects of radical innovation, steer programmes related to bio-based products, and technological strategic intelligence in this field. His in a group that is directly connected to Natura’s Innovation Department. His responsibilities include participation in the executive board of cosmetic technology projects of Natura. Formerly, Iguatemi was in charge of the research group known as ‘Sustainable Innovation’. He established and has led for three years the ‘NINA – Núcleo de Inovação Natura Amazônia’ (Natura Amazon Innovation Center), an innovation hub based in Manaus, Brazil, developing strategies and projects related to research and innovation in the Amazon region. Before that he was part of the group responsible for designing, developing and implementing new business processes for front end innovation (FIC – Funnel of Ideas and Business Concepts); and the group that created the vision, goals and led the project of the workfront of Science Technology and Innovation of the Natura’s Amazon Programme. Prior to joining Natura, Iguatemi worked at Formil Química, a Brazilian pharmochemical company, in the R&D department, dealing with new synthetic routes, methods of purification, improvement and adaptation of production routes and troubleshooting. Iguatemi is also member of some advisory and editorial boards. He has a PhD degree in Pharmaceutical Chemistry, related to organic total synthesis of natural products from Universidade de São Paulo, Brazil; holds a Masters degree in Business Administration from Fundação Getulio Vargas, Brazil; and has an Industrial Chemist degree from Universidade Federal de Santa Maria, Brazil. He is currently undertaking Postgraduate Certification on Sustainable Business, from the Cambridge University in the UK. The establishment of new essential oil supply chains creates many challenges. The development of completely new ingredients is an even more challenging endeavor. Based on a strategy of sustainable use of Brazilian biodiversity with a focus on building a more authorial perfumery, Natura started, over 18 years ago, a programme of development of new natural ingredients, that resulted in a pallet of more than 20 exclusive ingredients. Combining the assessment of traditional knowledge with rigorous methodological approach, some innovative ingredients were introduced to the perfumery and one of the pillars of the company’s innovation strategy was established – the “Brazilian Perfumery House”. This work is focused on illustrating some processes of research in developing new perfumery ingredients, presenting data of real cases in each step. These cases are presented to demonstrate two broad process: bioprospection and volume production for supply chain establishment. A long project systematically looking for new scents made in the Atlantic Forest in partnership with IAC (Instituto Agronômico de Campinas), resulted in more than 140 samples of new oils and illustrate the process of bioprospectio, which aims to discover completely new ingredient candidates. In the Amazon region, domestication of Conobea scoparioides, an herbaceous plant traditionally used in baths, and area enrichment of wild Siparuna guianensis, a medicinal and aromatic shrub are presented to demonstrate the challenges in production, volume guarantee, quality and standardisation of new species oils. More than being just new natural ingredients, they are innovative through the whole process, from field to extraction, following the best practices of respecting biodiversity, organic principles, and ethical trade. Composition, olfactive description and safety assessment are discussed in all the presented cases. Some commercial results of the cases and the whole strategy are also explored. Title of paper: Global Trade – Quo vadis? Sven Ballschmiede is Executive Director of the International Organization of the Flavour Industry. Before joining IOFI Sven had been the Executive Director for the European Flavour Association (EFFA), while simultaneously serving as Executive Director for the German Flavour Association (DVAI) and the German Fragrance Association (DVRH). A native of Saarbrücken (Germany), Sven is a lawyer by training who studied both in Germany and Switzerland. 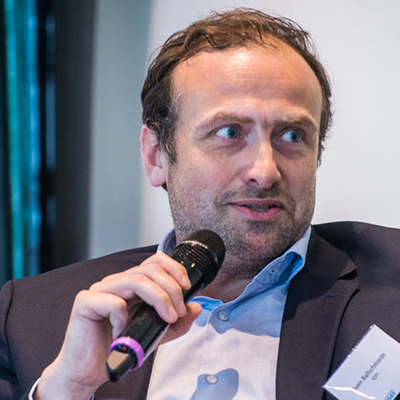 Prior to his career in the world of associations Sven worked at the International Law Firm Gide Loyrette Nouel in Brussels specialising in International Trade Law and WTO Dispute Settlement. He assisted multinational companies in the context of anti-dumping & anti-subsidy procedures and advised different national governments in dispute settlement procedures at the WTO in Geneva. Martina Bianchini is President of IFRA – The International Fragrance Association. 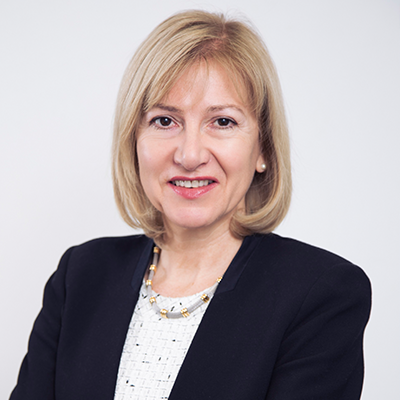 In her role as president, which she assumed in June 2016, Martina is leading the development of the organisation to increase its geographical scope, enhance its services to members and further develop its external advocacy and communications. An accomplished business and people leader, she has a passion for bringing together science and society. Martina draws from her experiences working across the chemical, agricultural, biotech, food, health and luxury goods sectors in a wide range of functions. Martina has lived and worked in several countries, both in the EU and the US. She has been educated at Louisiana State University, US; the Universities of Trier, Germany; the University of London, UK as well as the Harvard School of Public Health. Martina holds an MSc in Environmental Toxicology, a BSc in Earth Sciences and other continued education certificates. She began her career at Monsanto Company in St Louis, MO, and then worked at the Dow Chemical Company as Vice-President for EU Government Affairs & Public Policy and global advocacy lead for chemicals and health. Until she joined IFRA, she was Vice-Chair of the International Chamber of Commerce’s Environment and Energy Commission and Chair of ICC’s Green Economy Task Force. She was also a business delegate to inter-governmental bodies such as the OECD and served on several boards, including at the EU Technology Platform for Sustainable Chemistry and Corporate Social Responsibility Europe. Jean-François Quarré was born into a family which has been dedicated to trading in Essential Oils for the last 120 years. After graduation from renowned French business school ESSEC, and having spent a few years in the automotive industry, he joined an ex-family company, Marcel Quarré & Cie, where he has been in charge of the International Trade Department, and later the Essential Oil division. In 1988 Jean-François created, and is still the President of QUIMDIS which is nowadays one of the major privately-owned distributors of Essential Oils in France and in Europe. He was a founding member of EFEO in 2002, and is now holding the Presidency for the next two years. The global market for Flavour and Fragrance has experienced a steady growth in the past few years and the forecast is an even quicker evolution for the future. The progression of the world population and economy, the developments in e-commerce, and the strong appetite for natural products are driving this market towards new production records. However, available free land is getting scarcer and the labour force is fading away to more urban and better paid jobs. An increase in productivity or cultivation of non-natural geographical areas will be one of the replies to the challenge of increased demand, and the temptation to use more and more pesticides will be higher. Pesticides is a very large family with over 1,200 different molecules and their residues which can be metabolites or degradation products. They are difficult to identify and their analysis face many problems such as the limit of detection. Which limit of quantification is acceptable in our industry and is it to be linked with the concentration and dilution factors? These are the key questions. EFEO is conscious of the problem and promotes the idea of building a general database to which our members could refer. Additionally, EFEO proposes to join forces to evaluate the sanitary problem of a production chain at the level of a producing area. 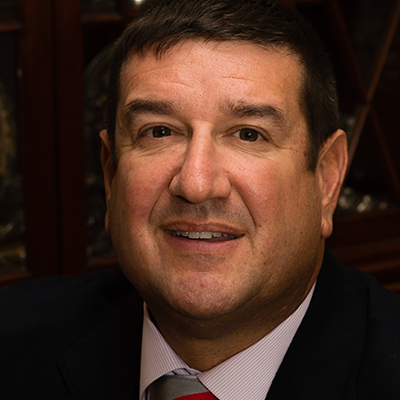 Richard C Pisano Jr is the President of Citrus and Allied Essences Ltd. (C&A). Since 1982, he has worked at C&A in a variety of capacities including Sales Representative and Treasurer. Richard has served on the Board of Governors of FEMA and was the FEMA President in 2005-6. He has served on the Boards and been President of NAFFS and the Chemical Sources Association of the United States. Richard served on the Board of IFRA North America and on the first IOFI Executive Board. He has addressed the IFEAT Conference on two prior occasions and has spoken before the Society of Flavor Chemists of the United States, at least once, in every decade since the 1980s. His latest speech, on cinnamon, was at FLAVORCON in 2017. Richard is an accomplished blue-water sailor, a singer, a photographer and a skier. 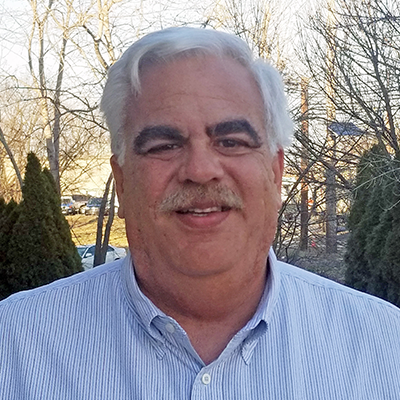 He has served as Treasurer of St. John’s Church of Cold Spring Harbor NY and as a member of the Tau Kappa Epsilon Fraternity Educational Foundation. The time has come for the global flavour Industry to deliver a clear and unified message to consumers, that flavour ingredients are safe. The millennial generation, in particular, in western countries, is exceptionally dis-trusting and questions the safety of all food additives, both natural and synthetic. This widespread misconception has had a significantly negative impact on the perceptions of all industries relating to processed foods. This presentation describes a lecture that has been written by and for flavour industry members the purpose of which is to counter the tide of mis-information, and educate the public that flavour ingredients are safe when under conditions of intended use. In this short IFEAT talk, I am going to present an overview of a lecture that I have written with the help of flavour industry experts that is dynamic and targeted toward university students in academic disciplines related to food science and other equally important scientific fields such as chemistry, biology, and engineering. Students with majors in scientific fields, have an understanding and appreciation for the scientific method. By ex-posing science students throughout the world who are well-respected by their peers, to the full lecture, we can encourage the formation of in-formed opinions and ask those who understand, to share the truth. The lecture offers students the opportunity to evaluate samples, witness essential oil processing procedures, read GC curves, and see chemical structures. While directed at science students, it is balanced so that any adult or young-adult could participate. The training begins with the field’s fascinating history of the birth of the FEMA GRAS Panel in response to the Food Additives Amendment of 1958 that placed great burdens on companies to prove that a food additive was safe. This was a particularly onerous task given that 75% of all food additives were flavours. The field’s response to the law demonstrated the creative genius of the individuals whose efforts kept the flavour industry alive. The lecture covers the creation of the JECFA process, which provides the global mechanism for flavour safety evaluation. The flavour industry is under attack. This lecture is a counter attack. It is my hope, in 20 minutes, to inspire IFEAT members to decide to participate in this world-wide effort to change the minds of students by allow-ing volunteers from member companies to present the full lecture that will be described in this short talk. This talk fits the IFEAT 2018 theme in that it fosters the survival and prosperity of all IFEAT members. It addresses diversity of thought and the need for a change of opinion by consumers.